As our society becomes more culturally diverse, companies and organizations must adapt their communication methods to build trust and connect with the public in more meaningful ways. In this presentation, Wilson Camelo will share how audience demographics are shifting and what it means for those of us working in public relations and marketing. Registration ends Monday, February 18. 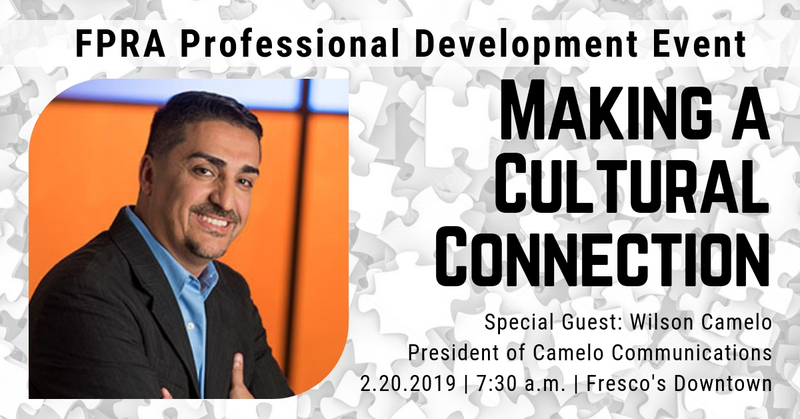 Wilson Camelo is an experienced and nationally-recognized marketing expert with experience in the U.S. Hispanic, multicultural, and general markets. His national brand experience includes Verizon FiOS, State Farm Insurance, Raymond James, UPS, Krispy Kreme, Ringling Brothers, U.S. Air Force, Brighthouse Networks, Comcast Cable, Nemours Children’s Hospital, Moffitt Cancer Center, among others. Wilson proudly began his communication career as a public affairs officer in the U.S. Air Force where he advised 4-star generals and won numerous national-level awards in strategic planning, crisis communication, media relations and events. He recently retired after a 20-year career. 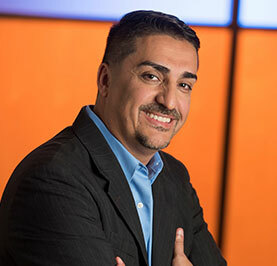 Wilson is the founder and president of Camelo Communication, an independent, Hispanic-owned marketing agency with offices in Orlando, Florida and Hartford, Connecticut. He has specialized experience in banking, insurance, health care, travel & tourism, utilities, non-profit and government. He is a sought-after speaker on the topic of culturally-relevant communication. He was recognized as the 2011 Public Relations Practitioner of the Year by PRSA Connecticut and was named a 40 Under 40 by The Hartford Business Journal and a “Rising Star” by Business New Haven.